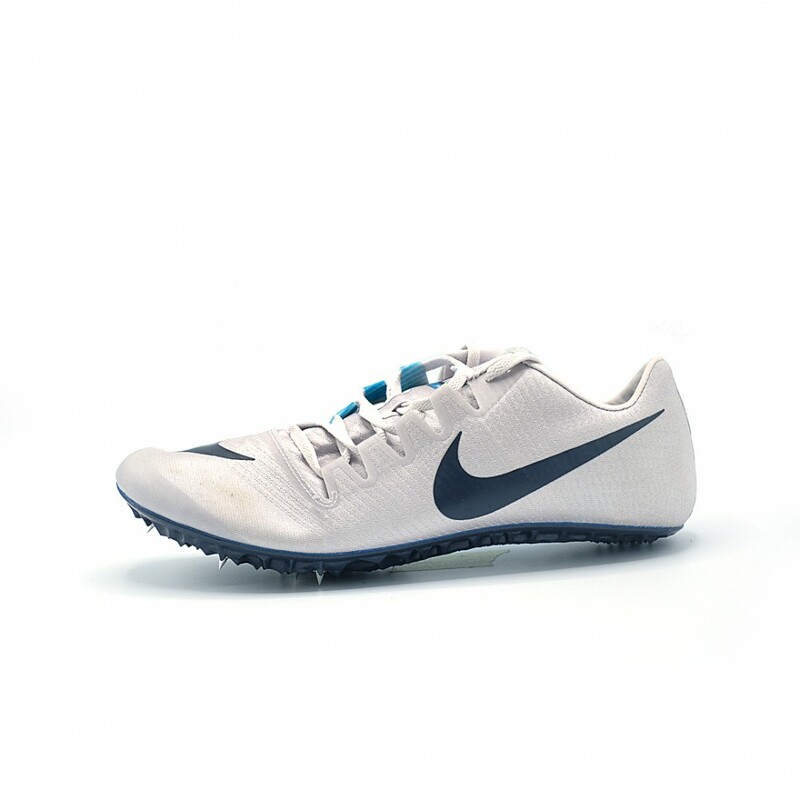 Nike Zoom Ja Fly 3 Track Spike returns to the lanes with a fine-tuned, featherlight feel specifically designed for 200m sprinters. Updated with a stiffer plate and a new woven upper, the no-sew tip and asymmetrical tongue highlight the modernised design. Flyweave uppers will encase each foot in flexible comfort. Created through an intricate weaving process, Flyweave technology maximises the foot's natural motion and acts as a bionic second skin. It produces a more supple fit than in previous versions, and a more secure, locked-down fit in key zones; reducing in-shoe slippage so that you can enjoy smooth, distraction-free strides. The deconstructed upper has no-sew overlays to reduce weight and bulk, and a seamless toe tip to create the comfort you need for starting blocks. A heel counter sits low on the foot and works with a flexible, lightweight collar to reduce pressure on the Achilles tendon. 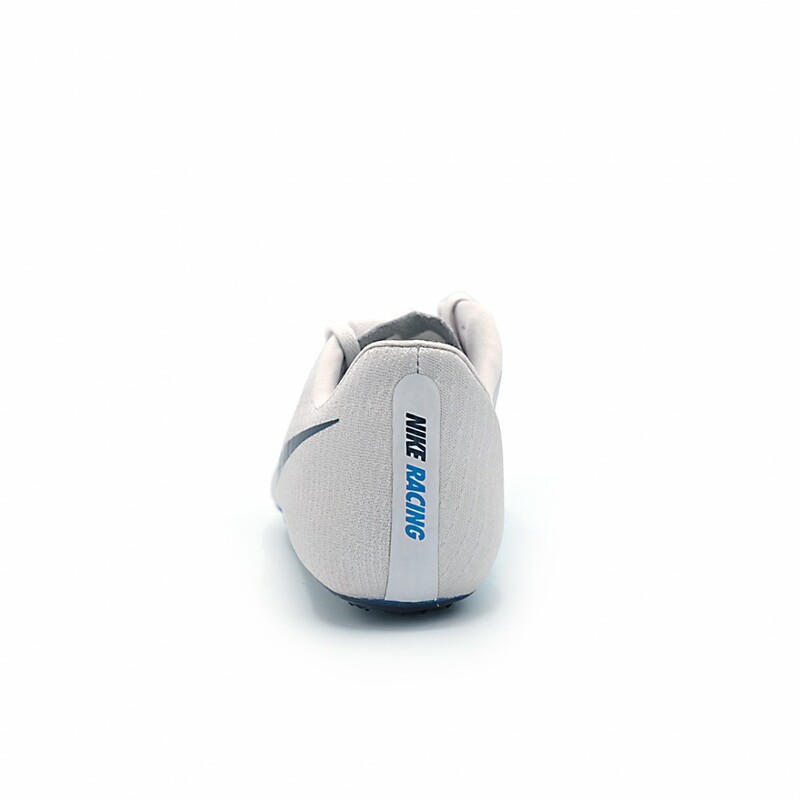 The asymmetrical lacing system conforms to the foot for a more natural feel; it works in tandem with a tongue that also wraps the foot to create a dynamic performance fit. A wedge of Phylon resides in the midsole to supply cushioning, comfort and a smooth transition. Light in weight and low in profile, it helps to spare your joints as you strike down onto hard, unforgiving track surfaces. Phylon is formed with EVA foam pellets that are compressed, heat expanded and then cooled in a mould, yielding the ultimate combination of resilience and springy responsiveness. 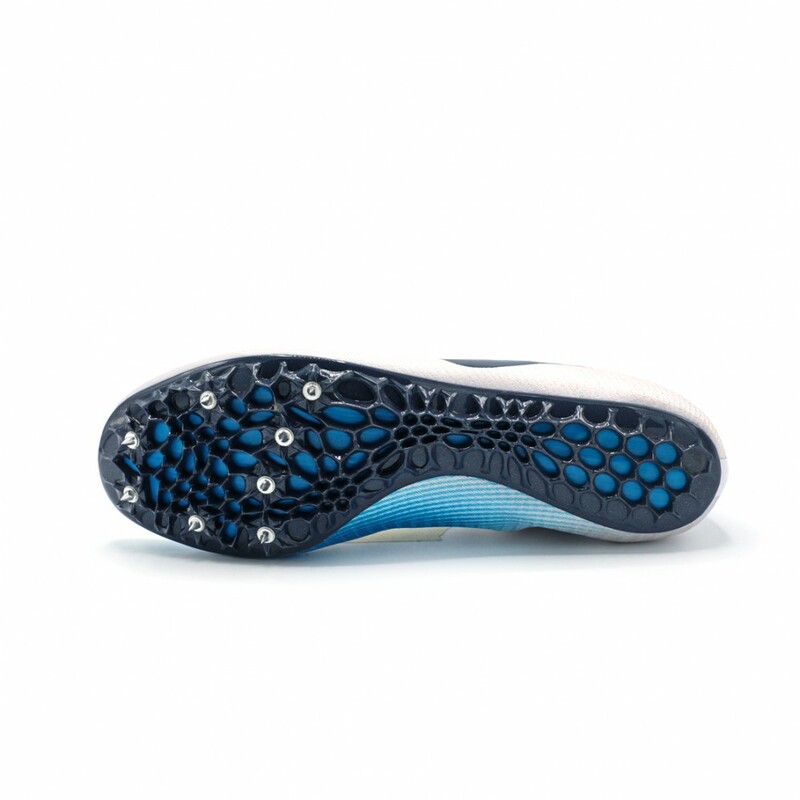 An injected Pebax spike plate completes the shoe, it rolls in at 2.75 times as stiff as its predecessor and makes for powerful, reactive strides. The plate's generative design uses an algorithm to identify where zones of stiffness and flexibility are needed and it uses a honeycomb-inspired pattern to achieve this. Zones that demand greater flexibility have larger cutouts that use less material to significantly reduce weight. Eight removable spike pins, made of stainless steel, deliver optimal, biting traction. For the athletes who crave featherweight aggression, choose the Zoom Ja Fly 3.